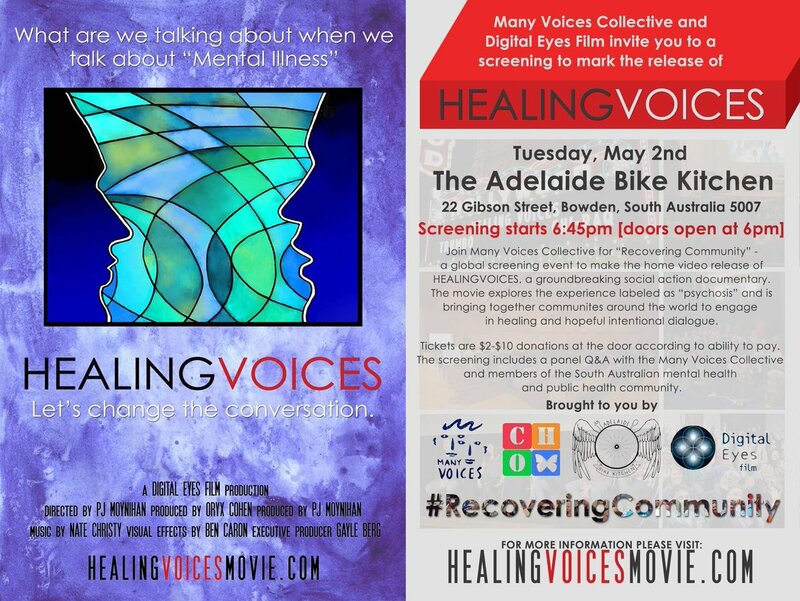 Recovering-Community | Healing Voices | A feature length documentary which asks the question: What are we talking about when we talk about "mental illness"
HEALING VOICES home video release on May 2 was marked by a global screening event entitled “Recovering Community” consisting of screenings and dialogues produced by our local partners around the world, starting in April and extending throughout the end of 2017. These events intend to expand the scope of HEALING VOICES dialogues from “mental health” to a broader, public health focus, by bringing together demographics including addiction recovery, disability, holistic health, LGBTQ2SI, social justice, spiritual communities, and more, to explore the intersection of these issues in our culture and society. Check out our list of screenings to find an event near you, or contact our social action team to bring a screening to your community.